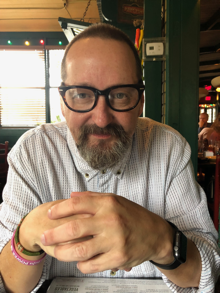 My wife recently joined a book club, which seems to be the soccer moms’ preferred social network these days, followed somewhat closely by Bunco groups, which I thought until recently was some sort of organized crime (actually, the more I learn about those groups it may be). Anyway, my wife joins this book club. The first thing I noticed is that they read all these nerdy, high falutin’ books like the A Thousand Splendid Suns and whatnot. Those books are too hard for me. I’m still at the edges of post-traumatic stress disorder over having almost read Wuthering Heights in the 11th grade. Thank goodness for Cliff’s Notes. The second thing I noticed is that a couple of the founding members of this club keep picking books they have already read. That sounds more like playing school than a book club. If I was in that club, I’d call b.s. on that the first time it happened. The second time it happened, I’d start turning furniture over. But women are too nice to do that. They either dutifully read the selected book, or they go all passive aggressive and start going to class unprepared. Anyway, I’m not in a book club. But I like to read. Lately, I’ve been in a science fiction phase. Here are some books I have read or reread lately, and enjoyed. Other than the first one, I’m going to skip all the obvious must-reads, like Stranger in a Strange Land, Ringworld, etc. First, and as I have mentioned before, I just reread Hyperion, followed in order by its four sequels, Fall of Hyperion, Endymion and Rise of Endymion. These are all excellent books, and this has become my favorite sci-fi series. 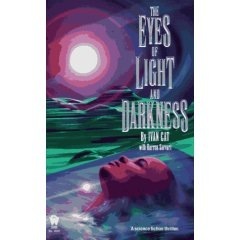 I also reread another old favorite, The Eyes of Light and Darkness by Ivan Cat. It’s as good as I remember it. I am currently reading Cat’s second novel, The Burning Heart of Night. It’s not as good as the first one, but it’s still to early to make a judgment. I also recently read Robert Heinlein’s Farnham’s Freehold. I bought it years ago, because it is in my favorite sub-genre: post apocalyptic, but didn’t get around to reading it. It was considered pretty controversial when it came out in the 60’s. I didn’t find the racial elements to be all that interesting, and I thought it was a pretty good story with or without that element. Lastly, I started to reread the California Voodoo Game series. When I read these books the first time, back in the 90’s, I thought they were great. Among my all time favorite science fiction books. I don’t find them as compelling this time around, but they are still worthwhile reading. Now I need some good science fiction recommendations for my next visit to the bookstore. Can anyone help me out via the Comments? Posted on January 25, 2008 December 23, 2012 by KentPosted in LifeTagged books, scifi.